Call it the Field of Dreams principle. “Build it and they will come,” as the frequently misquoted line from the 1989 film about a ghostly baseball team goes. The film was a fantasy, (and the actual words were: ‘If you build it, he will come’.) but airport operators in regional Australia are finding this tag line sums up the relationship between investment, aviation prosperity, and, ultimately, aviation safety. The link is subtle, but simple. Airports that attract traffic and other sources of revenue can also attract facilities, whether for air navigation, pilot training or aircraft maintenance. A critical mass can develop. But in his other role is as Manager of Wagga Wagga Regional Airport, in southern NSW, he has seen how economics can serve safety when attitudes change. The converse is also true, as well maintained aerodrome facilities can place an airport in good stead to capitalise on commercial opportunities as and when they arise, he says. Several themes emerged in discussions with Fight Safety Australia. Prowse says in about 2007 Wagga Wagga City Council started to undergo a paradigm shift in its view of the airport. ‘Previously the airport was located in Council’s infrastructure directorate. It was considered similar to any other community asset – something that had to be maintained, albeit in a highly regulated environment,’ he says. In the course of developing a more economically competitive airport, Wagga Wagga City Council also ended up building a safer airport, Prowse says, citing the example of a number of aircraft pavement strengthening and resurfacing projects, to the installation of an instrument landing system (ILS) that was jointly funded with Council, Airservices Australia and Regional Express Airlines. ‘We were also fortunate enough to receive a Federal Government grant of just over $1 million towards the project. The main purpose of the ILS is training, for the Rex-owned Australian Airline Pilot Academy (AAPA), and as a training aid for Airservices Australia trainees from NSW TAFE Riverina Campus. 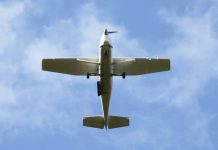 But it also provides a clear safety benefit, and it’s available to any IFR-capable aircraft that uses the airport,’ Prowse said. ‘Every airport has some untapped potential,’ Prowse says. 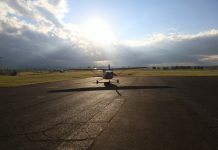 In northern NSW the town of Glen Innes (population 5000) is addressing the problem of keeping its airport viable by attracting an international flying school. Australia Asia Flight Training is planned to begin operations at the airfield this year. 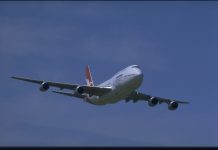 The company is taking up a 30-year lease on the airport and will be responsible for the upkeep, maintenance, licensing, and running of the airport, Council’s Director of Development, Regulatory and Sustainability Services, Graham Price told ABC news. The purpose-built college is expected to ultimately house 600 students. There are also plans to build an ILS at the airstrip. 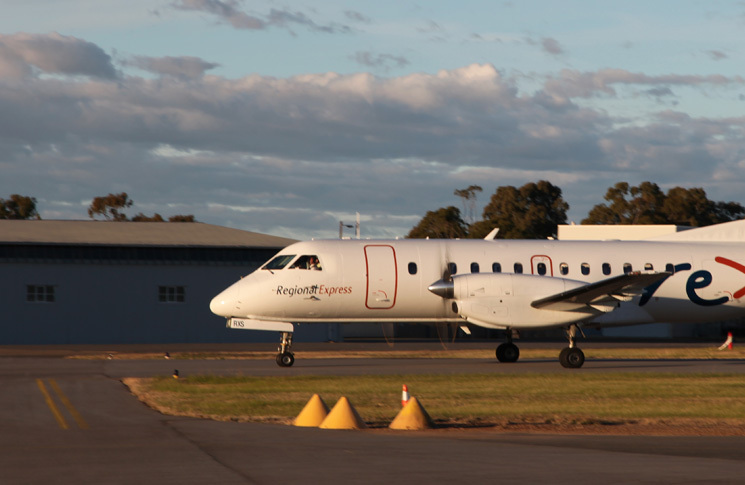 Regional Express Airlines, known as Rex, is based in Wagga Wagga, where it was formed through a merger of Kendell Airlines and the Orange, NSW-based Hazelton Airlines, both of which failed due to the Ansett collapse of 2001. In 2010 Rex moved its in-house ab-initio flying school, the Australian Airline Pilot Academy to Wagga from Mangalore, Victoria. AAPA chairman, Dale Hall, says the advantages that made the area the centre of one of the biggest pilot training operations in history, the Empire Air Training Scheme of World War II – were still in place. Prowse says any aerodrome in Australia will have some combination of environmental, natural and cultural factors that offer a unique competitive advantage. An aerodrome on the east coast could be a candidate for whale watching flights for example, a regional airport with large jet facilities serving an agricultural area could exploit the Asian demand for fresh air-freighted produce. Several state government schemes fund regional airport development. Victoria has a $20 million regional Aviation Fund, and Western Australia operates a Regional Airports Development Scheme. Queensland ceased its Regional Airports Development Scheme in 2013, but its Department of Transport still considers funding requests. The Federal Government offers funds to regional airports under the Regional Development Australia Fund. Parkes Regional Airport, in central-western NSW, obtained $1.5 million from this source, for redevelopment. Canberra also manages the Regional Aviation Access Programme (RAAP), which consists of five distinct initiatives and funds. The NSW Government Department of Trade and Investment funds airport works, and contributed to the upgrade at Glen Innes. Regional aviation has changed greatly in recent years. Like the fast-growing international carriers it has adopted many elements of the low cost, high turnaround model of air transport. Airlines such as Rex use low-cost model elements such as single type operations, point-to-point scheduling and airport cost control. His wish is for airport operators to perceive the incoming passengers as a source of spending, rather than tax revenue. ‘It’s cheaper to have massive flying schools here in Wagga Wagga than in Bankstown, Perth, or other places like that, mainly because of land prices,’ says Hall. Like Prowse, he agrees with the suggestion that a subtle change is occurring in Australian aviation: More and more facilities are migrating from large general aviation aerodromes on the fringes of coastal cities to regional airports. Wagga Wagga City Council attracted aircraft refurbisher Douglas Aerospace to the airport, following development flowing from the council’s airport master plan 2010. The aircraft painting specialist relocated from several locations to consolidate at Wagga. Douglas has built a hangar capable of accommodating Boeing 737- 800, and is building a second hangar for work on smaller regional aircraft, as part of the Wagga Airport’s newly completed Commercial Aviation precinct. The economic pressures associated with taking a commercial aircraft out of service can also create opportunities, Prowse says. The spillover effects of more maintenance repair capability in regional Australia apply to any aircraft within reasonable flying distance from there, ‘from an RA-Aus registered aircraft right up to an air transport aircraft,’ he says.